Our brand new G.R.I.T. classes take the principles of high-intensity training and apply them to a fun, team training environment so that you can get a great workout in half the time. These classes come in three varieties: G.R.I.T. Strength – blasting all the major muscle groups; G.R.I.T. Plyo – combining plyometrics and power agility training; G.R.I.T. Cardio – an explosive session using high impact body weight exercises. 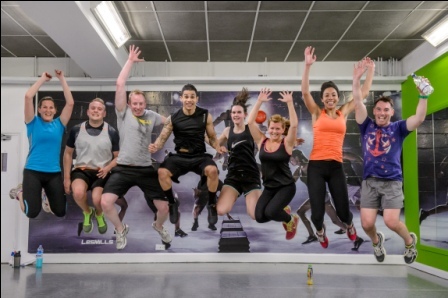 We are delighted to have partnered with Les Mills to bring you these great, innovative workouts that are constantly updated with new choreography and music, and never get boring! G.R.I.T. can help you achieve your goals even faster, but be warned – they are not for the faint hearted!